For high-performing organizations, a competency-based performance management system is an essential part of an overall competency management plan. With a competency-based performance management system in place, you can better motivate staff, align training with company goals, clearly define roles and the skills needed to perform each job well, as well as optimize the hiring process. Here are seven key components to optimizing your competency-based performance management plan. When it comes to performance management, determining goals should be step one. Having set goals at all levels allows everyone involved to have something to strive toward, measure and be accountable for. By planning out specific goals and setting expectations, you will motivate employees to work effectively, help management to communicate clearly and allow tasks to be completed in an efficient manner. Whether you’re setting goals individually or at a team level, make sure they’re geared towards developing the core competencies of the company and supporting your organization’s mission, vision and values. One of the most important elements of a performance management plan is communication. By clearly communicating what your plan is, what your goals are and why, you can get employees on board and motivated to participate. Why. Make sure the purpose is communicated clearly, and often. If employees don’t see the point, they may not do their best to progress toward your goals. What and When. It’s also important to set clear expectations. If you’re planning on setting deadlines for individuals or teams to complete training or to give feedback, let staff know that you’re expecting them to complete the activity at that time and it’s not just a suggestion. How. Give staff clear steps toward any goals you have set. With a step-by-step guide, the process will be as effortless and possible. One great benefit of performance management is that the feedback gives HR better clarity when recruiting, which saves time and resources. This is why it’s so important to clearly define each job. Great employees want to excel in their positions–and understand what is needed to move up. Make it easier for them by outlining what skills are needed to perform to the best of their ability. By understanding job responsibilities and expectations, employees can be more confident in their position, as well as their future, within the company. In addition to your current employees, it’s also important to plan for the subsequent workforce. With your organization’s core competencies in mind, define what job types you would like to hire for in the future. Complete the communication loop by speaking with HR about these decisions. This will help you hire the most competent people to fulfill needs within your company. Once you agree upon and outline the skills needed for each job type, you can better understand where skill gaps exist. Whether it’s through surveys, interviews, performance reviews, or coaching sessions, learning what your employees need to know in order to perform well in their position is invaluable. Additionally, by identifying skill gaps you can begin to see a clearer picture of where there may be job-type holes in your workforce. There may be job types that you’ve never hired for previously that would be the perfect addition to your team. After you’re able to identify your skill gaps, the next step is to nurture staff and bring them up-to-speed. Whether it’s by way of company-wide training days or simply management-to-team member weekly one-on-ones, the best way to encourage continued learning is by setting up a coaching development program. With a coaching and development plan, your organization can accomplish multiple goals: bridging skill gaps, vetting employees for future positions and putting them on track for a planned career trajectory. Three key elements of all successful evaluation programs are monitoring, documenting and assessments. Assessments allow you and others to better understand what is working and what needs to be changed. While some feel that conventional, annual assessments are tiresome, anxiety-inducing and many times, fruitless, it’s still important to have some kind of progress touchpoint in order to set up your workforce for success. Move away from monthly or annual evaluations and toward a process of continuous coaching and improvement. With actionable, constructive criticism, you can position your workforce to perform to the best of their ability. For some organizations, creating a unique performance management system is in order. Depending on your organization, a performance management program may mean you’ll have frequent face-to-face evaluations or it could mean virtually zero. The more organized and planned out your program is, the less face time will be required. We’re experts at mapping out successful competency-based performance management plans. For more information on developing a customized performance management plan, contact us. With the data you gather through defining job types, evaluating skill gaps and the results of continued learning activities, you can put together the evaluation program that works for your company. Give recognition and reward your workforce. The most comprehensive performance management plan in the world won’t be effective if everyone involved doesn’t have adequate access, can’t easily give feedback, and data can’t be collected and viewed by leadership. In order to keep everything organized across the organization, performance management software is a must. 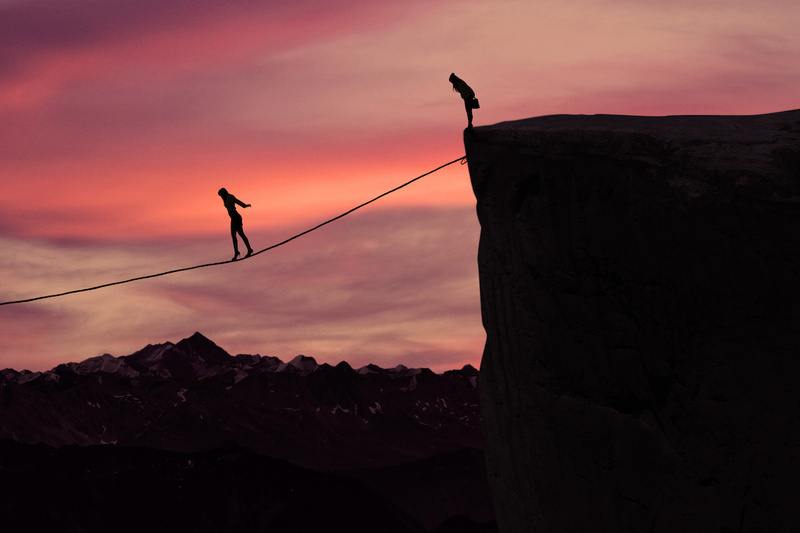 While creating a competency-based performance management plan can sometimes feel like a balancing act, performance management software can help keep you organized and on track to meet your goals. Not only does performance management software help to identify, analyze and manage skills gaps within your workforce, it provides an overview of progress, an opportunity to compare continued learning techniques and the ability for leadership to analyze a large amount of data in a comprehensive way. Learn more about Avilar’s competency-based performance management software.